Pricing a luxury home is one of the most important aspects of the process. Price a luxury home too high and buyers will ignore your home since better values can be had elsewhere. Price a luxury home too low and while a quick sale will result, the homeowner will be walking away from money they could have instead put into their pockets. Sources like Zillow and their Zestimates are generally not that accurate when it comes for pricing a luxury home for sale. Zestimates are good for giving an estimated price of a home that takes into account other homes sold within the same area, but a Zestimate does not take into account items like quality of the luxury home, cost of the luxury home upgrades specific to a house, house condition, and more. A better way to price a luxury home is to compare recent sales to the home being put up for sale. Recent sales should be no more than 6 months old and the homes should be compared to see if similar features, room sizes and counts match the home to be sold. Where the previous houses sold are not similar then using those to establish pricing may not produce an accurate price. Using home sales no older than 6 months may not always possible depending on where the home to be sold is located. If the luxury home is located in an area where not many homes in that price range are sold then the time frame looked at may have to be more than 6 months or the geographic area looked at may need to be expanded. Real estate is about location. A $700,000 dollar home in one area may be considered luxury but in another area that price may fetch an average sized home that is not considered to be luxury. Therefore when looking at recent home sales to determine a price one may also need to analyze the areas where other luxury home sales are being compared. Luxury home sales in a downtown area usually are not a good comparison for luxury home sales in a suburban area. The marketing of a luxury home is the chance to wow buyers and draw them in and want to see more or cause them to think they should move on to the next home on the list. Luxury homes must use high definition pictures and video in order to show the best quality of the home to luxury home buyers. High definition cameras for both video and photos should be made with cameras utilizing wide angle lenses. The lenses should not too wide though that there is fish-eye distortion to images or too wide that it makes rooms look bigger than they really are. Cell phone cameras and point and shoot cameras will not cut it when it comes to taking high definition video and photos. The services of a professional videographer or photographer may be in order if the necessary equipment are not readily available. For purposes of video recording of a home a video slide show of still pictures already taken is not enough. While those slide show videos may be fine as a starting point to get coverage on YouTube, a luxury home should receive full motion video treatment to highlight the unique and quality features of the home. With over 90% of home buyers starting their home search online if a luxury home is not delivering the best in quality video and pictures buyers may think the home is not worth coming to see in person. Using an unmanned aerial vehicle (UAV or drone) to take aerial photos and videos might make sense for luxury home marketing purposes. Not every home needs aerial shots and sometimes those aerial images will instead distract home buyers rather than enhance the marketing. If a luxury home has a large beautiful backyard, water views or other features that can be really appreciated from the air then it makes sense to hire a UAV operator to take aerial footing to use in the luxury home’s marketing. 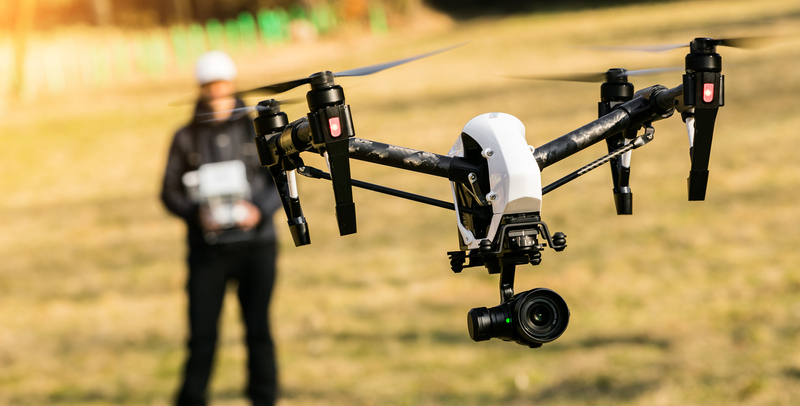 Luxury homeowners should make sure the UAV operator they hire is properly licensed to commercially operate their UAV under FAA regulations, that they maintain insurance for their business and that their UAV will be capturing high definition footage. Some cheaper UAVs use very low quality cameras and combing low quality images or video with a high definition video of the inside and outside of your home will confuse buyers and leave them less likely to want to see your home. Any UAV video footage obtained should be incorporated into the main marketing video for your home so that luxury home buyers can see everything at one time and in one location. While Zillow is a good place to list your luxury home for sale it should not be the only place. The Multiple Listing Service (MLS) in your area is where a majority of homes are bought and sold. Through the MLS your home not only gets listed for sale on local real estate portals it also gets pushed to national sites like Realtor.com and more. Depending on your location there should be some limited service real estate brokers who for a flat fee will list your home for sale on the MLS. The fees can range from $500 and up depending on what add on services you request in addition to the MLS listing. Some limited service brokers will offer you the option to pay buyer’s agent a commission or a fee if they bring a buyer and that is recommended since more than 80% of home sales involve at least one real estate agent representing either a buyer, a seller or both. Some additional sources for advertising your home for sale include local newspapers, local luxury home magazines, Facebook marketplace groups, Craigslist, Google and Facebook paid ads and more. When selling a home you want the maximum amount of advertising coverage available so that your home is being presented to as many potential buyers as possible in hopes of finding that right buyer. The longer it takes any home to sell the faster and steeper the price will need to be cut in order to attract buyers. 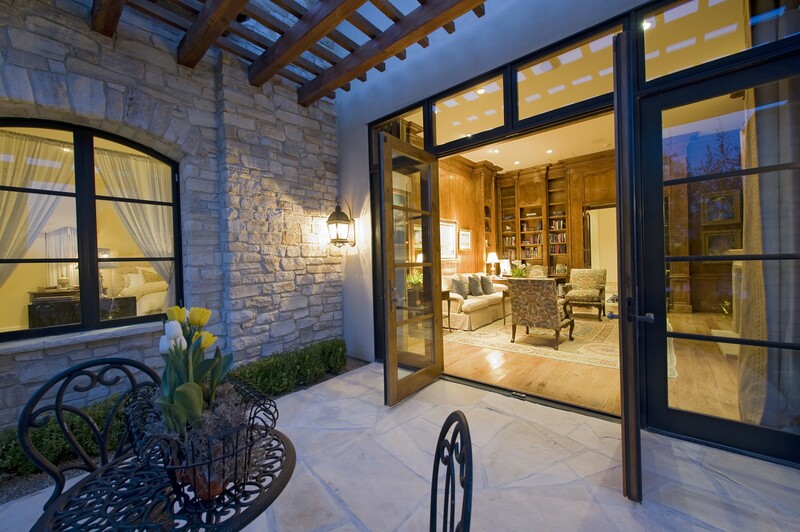 Should You Host An Open House For Your Luxury Home For Sale By Owner? During an open house you are letting any member of the general public in to tour your home in the hopes that someone finds the home desirable enough that they will make an offer. Home sales during an open house only account for less than 5% of total sales so as a result the additional exposure gained by hosting an open house is not worth the risk for any luxury home seller. Especially with a luxury home people coming to view the home will more likely be coming out of curiosity as to how someone in a luxury home lives and will want to see what exactly makes a luxury home luxurious. Not only that an open house in a luxury home invites those who may use the chance to steal something from the home during the open house or to check out where the good stuff is so that way when they come back they know how to move in quick get what they want and get out with little trouble. While the risk is high with an open house the reward that a sale may occur is very low so an open house for a luxury home should be avoided. If a buyer comes through with a real estate agent chances are those buyers will be pre-qualified or verified to have cash on hand to make a cash purchase of a home. After all not many real estate agents want to work as a free tour guide showing homes for no compensation. When dealing with unrepresented buyers it is wise to ask buyers to show proof of funds or to show a mortgage pre-approval. Proof of funds or a mortgage pre-approval shows that the buyers are indeed serious about buying a luxury home and can afford to buy the home. Anything less and you run the risk of inviting in people who are just viewing houses for fun or worse someone sizing up your home and valuables for theft later on. If luxury home buyers will be buying a home with the use of a mortgage then you will need to be prepared for the extra time involved. Jumbo mortgages used to purchase luxury homes usually have more stringent requirements for appraisals, buyer financials, and more. As a result the typical time to close on a home which will be purchased with a mortgage is longer than a home that does not need a jumbo mortgage to purchase a home. While you may not have a real estate agent involved for whatever reason when selling a luxury home it is advisable to have a real estate attorney reviewing offers and the purchase contract to make sure your interests are protected. Since larger sums of money are involved with selling a luxury home the chances for a lawsuit to pop up are also greater. A good idea would be to hire an attorney who either owns or works in a law firm that owns a title company. That way the real estate attorney can handle all legal aspects of the luxury house sale and the title company can handle the actual closing when it comes time to do so all under one roof. Whatever the reason may be for selling a luxury home for sale by owner one must realize it is a process that requires a lot of preparation and planning for proper execution. Miss certain critical steps or sign a purchase offer without full understanding of what is written in the document could lead to costly litigation. The tips and suggestion in this article are just a small amount of what is involved in selling a luxury home. 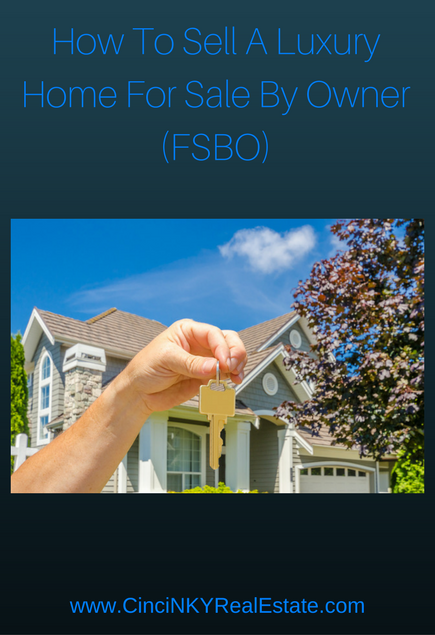 About the author: The above article “How To Sell A Luxury Home For Sale By Owner (FSBO)” was provided by Luxury Real Estate Specialist Paul Sian. Paul can be reached at paul@CinciNKYRealEstate.com or by phone at 513-560-8002. If you’re thinking of selling or buying your investment or commercial business property I would love to share my marketing knowledge and expertise to help you. Contact me today!